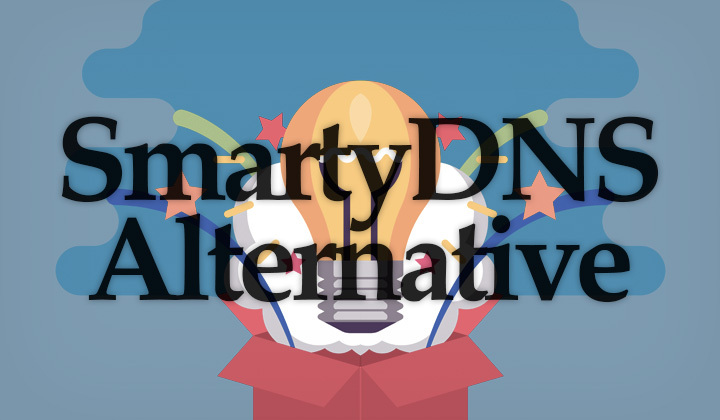 In this post I’ve listed the best SmartyDNS alternatives of 2019. While there are several sites similar to, or pretty much like SmartyDNS, there is none that have the same easy-to-use DNS connection, and set up client. But at the end of the day, it’s about price and what channels are supported. Cheaper, and classic Smart DNS provider. Pricier, with an impressive list of channels that are supported. This one has some channels not supported elsewhere. And there you have it — the end. There are not many sites like SmartyDNS worth mentioning, but these three definitely have something more to offer, like more extensive site and device support. Also, similar to SmartyDNS there is often an available VPN service which can be used together with the DNS for enhanced security. While this is complementary, included free with SmartyDNS, with other providers it’s an optional paid service. Good luck with finding a suitable Smart DNS provider! I’m happy to help if you are looking for something more specific. Or feel free to share what you consider the best SmartyDNS alternative? Finally I want to mention to my readers that affiliate links are occasionally placed with the posts. Not to worry, there is no fee or cost, and your support will help me write more content like these. Thanks for visiting my blog, David.